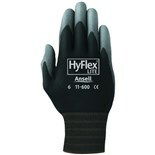 Ansell-Edmont 11-600-7 HyFlex® LAssembly Gloves with Polyurethane Grip, Black/Gray, Small, 12 Pairs/Pkg. 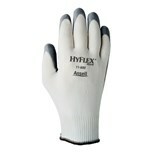 Ansell-Edmont 11-600-9 HyFlex® Assembly Gloves with Polyurethane Grip, White/White, Large, 12 Pairs/Pkg. 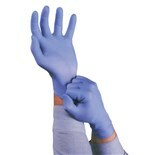 Ansell-Edmont 11-100 HyFlex® Static Control Assembly Gloves, Medium 12 Pairs/Pkg. 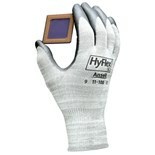 Ansell-Edmont 11-100 HyFlex® Static Control Assembly Gloves, Large, 12 Pairs/Pkg. 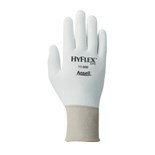 Ansell-Edmont 11-600-7 HyFlex® Assembly Gloves with Polyurethane Grip, White/White, Small, 12 Pairs/Pkg. Ansell-Edmont 11-600-8 HyFlex® Assembly Gloves with Polyurethane Grip, White/White, Medium, 12 Pairs/Pkg. 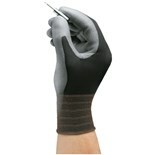 Ansell-Edmont 11-600-9 HyFlex® Assembly Gloves with Polyurethane Grip, Black/Gray, Large, 12 Pairs/Pkg.